Planting a tree is one of the quickest, easiest and cheapest ways to attract wildlife to your garden, help the environment – and improve your wellbeing. Trees are awesome. Sitting under the shade of an oak, ash or apple tree can make a sweltering summer day more bearable. 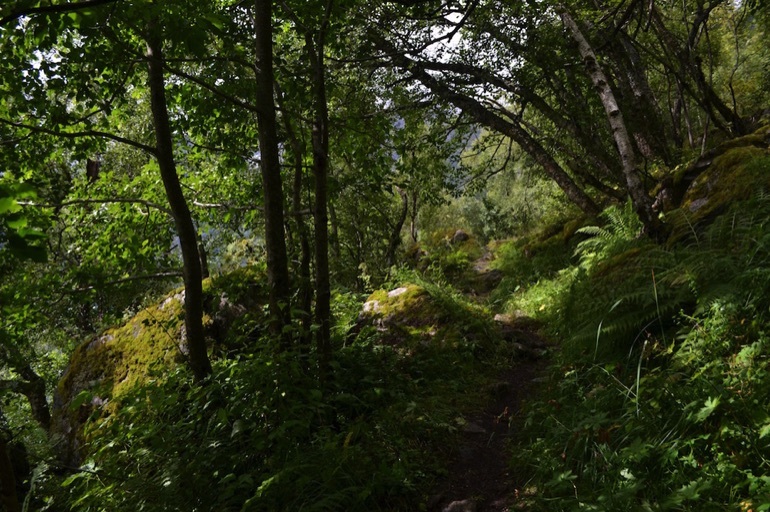 And walking in a beautiful wood or cool, shady forest is a real delight when the weather is hot and humid. As well as keeping us cool by providing shade, trees can also keep us warm. Firewood is a virtually carbon-neutral fuel – and there is nothing more welcoming and comforting in mid-winter than a crackling log fire. Trees also give us fruit and nuts for food, timber for building, shelter for smallholdings and farms – and they help prevent soil erosion. Trees are great for kids, too. Climbing, swinging, jumping in piles of leaves and collecting conkers are activities that all children should be able to enjoy. While widespread deforestation is releasing more carbon dioxide into the atmosphere, planting trees instead absorbs this greenhouse gas. Their leaves improve the air that we breathe by releasing oxygen. But unfortunately the UK is one of the least wooded countries in Europe. In short, we need more trees. 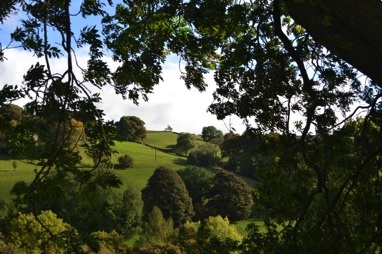 Organisations like the Woodland Trust and Trees for Life are working hard to reverse the decline of our woodland habitats – but individual action is important too. There is no doubt that every single tree planted is of real benefit to the planet. Trees can be planted where other plants can't be grown, making good use of unproductive corners. They can provide a screen or windbreak to create shelter from inclement weather, and when planted as a hedgerow, can create privacy and deter intruders. And trees are also terrific for wildlife. Thousands of species are supported by trees – by their leaves, bark, berries and blossoms, and by decaying wood when the tree reaches the end of its life. Plant an oak tree and it's likely it will still be standing in hundreds of years – and during its lifetime it will support hundreds of different wildlife species. 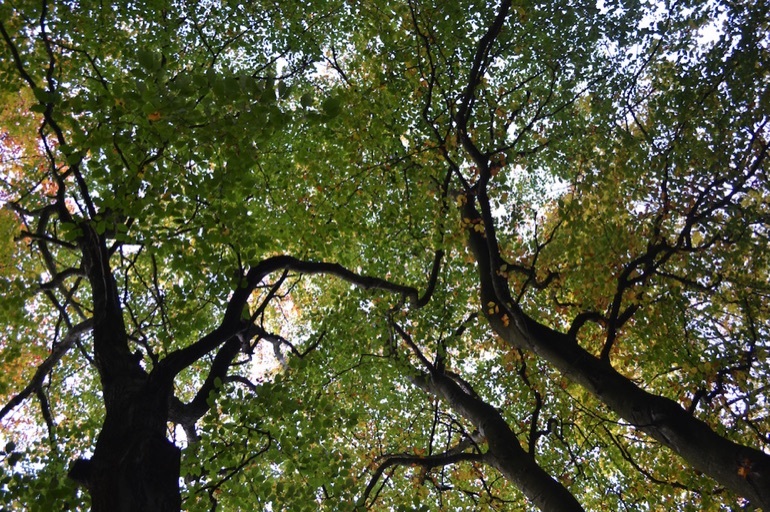 Insects including moths and butterflies rely on oak for food, and these majestic trees also attract a wealth of different bird species such as woodpeckers and tree creepers. Acorns are enjoyed by jays and, of course, squirrels. 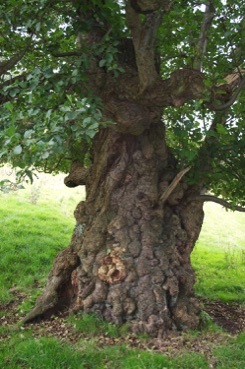 As an oak tree grows bigger, cavities may appear in the trunk and larger boughs – these can provide homes for owls or bats. 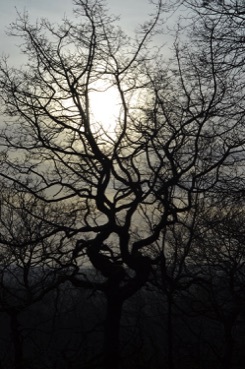 And a mature oak tree will provide decaying and dead wood habitats for numerous invertebrates like stag beetles and click beetles, as well as supporting fungi, lichens and mosses. 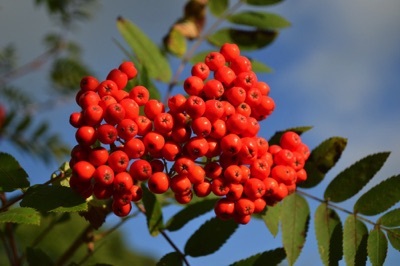 If you want something more compact, a good choice for a smaller garden is a rowan tree. Rowans produce red autumn berries that are loved by blackbirds and thrushes. Redwings and fieldfares may also visit in the winter months. In extremely cold weather, and if you are extremely lucky, you may even spot a waxwing. Moth caterpillars eat the leaves and berries of rowan trees, and the flowers provide pollen and nectar for all sorts of insects. You can make rowan and apple jelly with the berries too – delicious with meat or cheese! Apple trees come in a range of different sizes. Many fruit trees are grown on dwarfing rootstocks, making them more manageable for small areas. 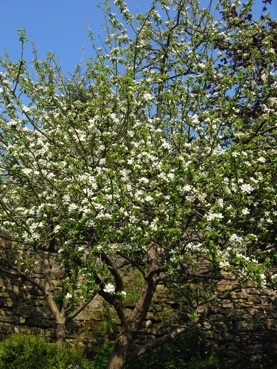 Choose a dwarfing rootstock, such as M26, for smaller gardens or M6 or M106 to produce a larger tree. Planting apple trees. 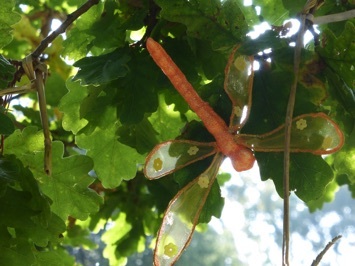 Apple trees provide a rich and varied habitat for all sorts of wildlife. Woodpeckers, redstarts and bats are all common in orchard areas, while insects such as bees and hoverflies feed on the nectar and pollen. Blackbirds, redwings and thrushes love to feed on windfalls. Bumblebees, in particular, love apple blossom and can be seen buzzing around happily on warm late spring days. And of course a huge benefit of an apple tree is that you get to enjoy the apples each autumn! Birds like to eat berries, and holly berries are no exception. Blackbirds and thrushes are particularly partial to holly berries, while other birds such as robins, finches and dunnocks enjoy the protection that the prickly, impenetrable leaves offer. Hedgehogs, toads and slow worms also benefit from the protection of holly leaves, and will often hibernate in the deep leaf litter that builds up below the tree. In spring, when the tree is in flower, bees and bumblebees will collect the nectar and pollen. If you want to create your own lasting legacy, plant a tree in your garden – now's the time to do it! Planting trees between November and March is a good idea as roots are dormant during winter, so the tree can cope more easily with being moved. It is possible to plant container-grown trees at any time of year, but even these are best planted in winter as they'll need less watering – and so are easier to care for – than if they're planted in spring or summer. 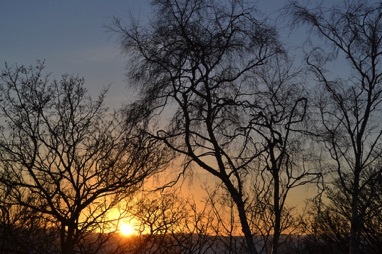 To plant your tree, first make sure that it will have space to grow properly – especially if it's a large species, such as oak – taking into account the expected spread of the branches in future years. Ensure the tree will not be too close to nearby buildings, fences and other trees. Dig a hole that's wide enough and deep enough to accommodate the roots, and position the tree in the hole. The tree shouldn't be planted too deeply – the top surface of the soil should be just above the top of the roots. Refill the hole with soil, filling all air pockets and being careful not to damage the roots. Then firm the soil gently. Some large or top-heavy trees may need to be staked for support, and you may also want to add a tree guard to protect the trunk from hungry rabbits, if these are known to be a problem in your garden. Water well and watch your tree grow! If you like the idea of planting a tree, but don't have the space, why not invest in an individual tree or grove of trees with award-winning conservation charity Trees for Life? 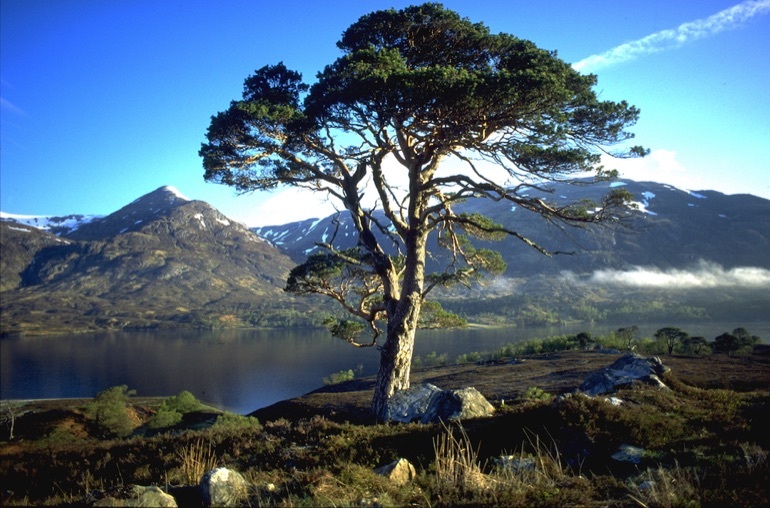 Trees will be planted in the Scottish Highlands and are a wonderful way to celebrate a special event or remember a loved one. So, fancy planting a tree? Any tree you plant will benefit wildlife and there are hundreds of small, medium and large varieties available – so finding one that's suitable for your garden should be no problem at all.